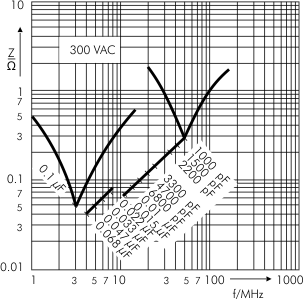 WIMA MP 3-Y2/3R-Y2Metallized Paper (MP) RFI-Capacitors Class Y2. 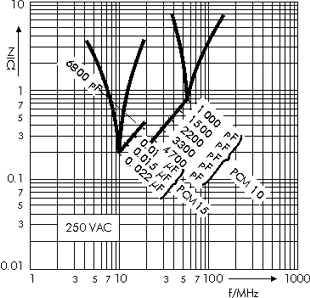 Capacitances from 1000 pF to 0.1 µF. Rated Voltages 250 VAC and 300 VAC. PCM 10 mm to 27.5 mm. Marking: Marking: Black on Silver. Country Authority Specification Symbol Approval-No. 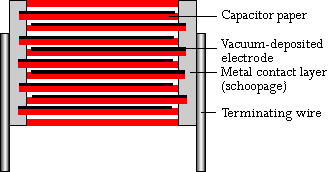 * If safety-approved EMI suppression capacitors are operated with a DC voltage being above the specified AC voltage rating the given approvals are no longer valid (IEC 60384-14). 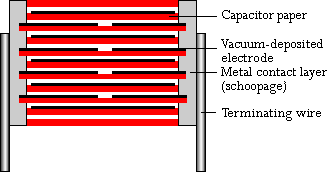 To minimize or avoid shock and/or vibration stresses to terminating wires and solder connections we recommend to fix voluminous resin-potted MP capacitors as from e.g. 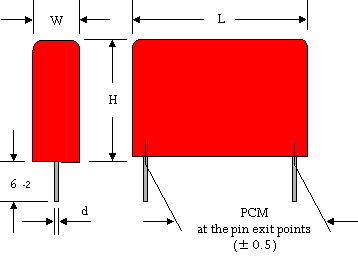 PCM 22.5mm in an appropriate way since for constructional reasons they do not sit tight on the board. Upon request with long pins 35-2 mm max.